Asparagus is only in season in the UK for three months, from St George’s Day up until Midsummer’s Day, so when we received the first delivery of asparagus for the season from a local producer in Saxondale, Nottingham we were very excited. 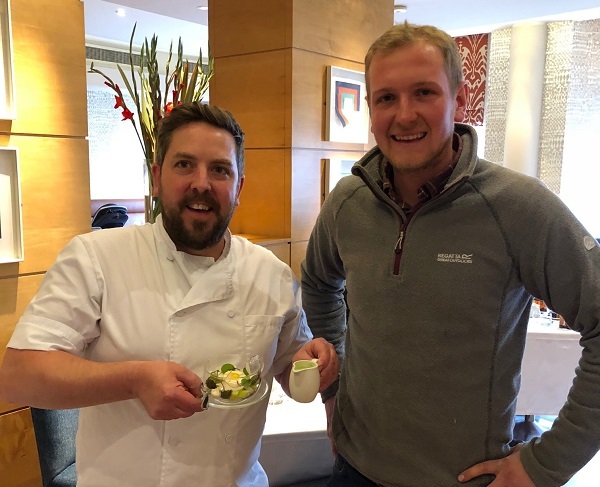 Head chef Dan Burridge is passionate about using local and seasonal produce, so we invited local asparagus farmer Joe Fisher to sample Dan’s asparagus dish ‘Saxondale asparagus, tartar, crème fraiche, quail egg‘ which is now being served. It’s a vegetable that adds distinction to special meals, so when picked fresh and local we absolutely love it. We hope you have the opportunity to try it soon? You can book your table online or by calling 0115 988 1900.